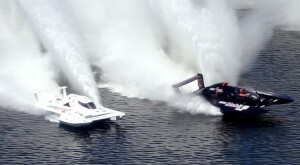 J. Michael Kelly drove “The Boss” to a 2nd place finish in Heat 1 of the UIM GP World Championships on Lake Kairapiro, New Zealand on Feb. 7, 2009. What makes this video a little unusual is that The Boss has a clear canopy, allowing a full forward view from inside the cockpit, providing a breathtaking view of the violent ride JMK’s subjected to. 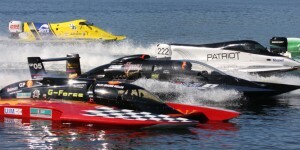 J. Michael Kelly took “The Boss” to a 3rd place finish in Heat 2 of the UIM GP World Championships on Lake Kairapiro, New Zealand on Feb. 7, 2009.